If you love deep blue topaz, this necklace is for you! 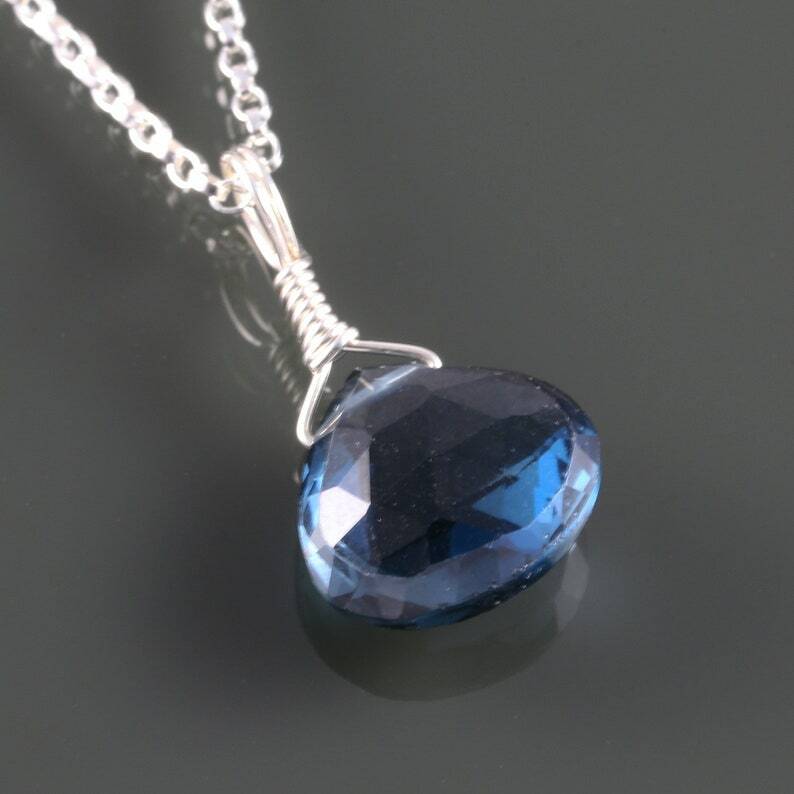 This pretty pendant is a single London blue topaz faceted gemstone. It is a faceted drop, measuring about 10x10mm. This pendant comes with a 1.2mm sterling silver rolo chain with a spring-ring clasp. Please choose your length when you check out (16, 18, or 20 inches). Lapis Lazuli Earrings. Sterling Silver Ear Posts. Genuine Gemstone. December Birthstone. Bali Style Earrings.